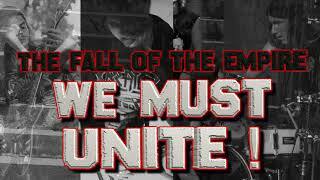 Italian thrashers Adversor have posted on-line in streaming ‘The Fall Of The Empire (We Must Unite)’, the official lyrics video of a new song taken from their latest full-length album titled “The End of Mankind”! The new effort was released oh March 26th by italian label Punishment 18 Records! La thrash metal band italiana Adversor ha pubblicato on-line lo streaming di ‘The Fall Of The Empire (We Must Unite)’, lyric video di uno dei brani contenuti nell’ultimo full-length “The End of Mankind”! Il disco è disponibile sul mercato dallo scorso 26 marzi tramite Punishment 18 Records!